Dog Chases Coyote, Coyote Chases Back, Walkers Cheer For Coyote! What first caught my attention on this foggy San Francisco morning was a dog running at ultra-high speed down an embankment. Then I heard someone yelling for his dog, with the tell-tale panicky tone which is always a dead-giveaway for what is going on. 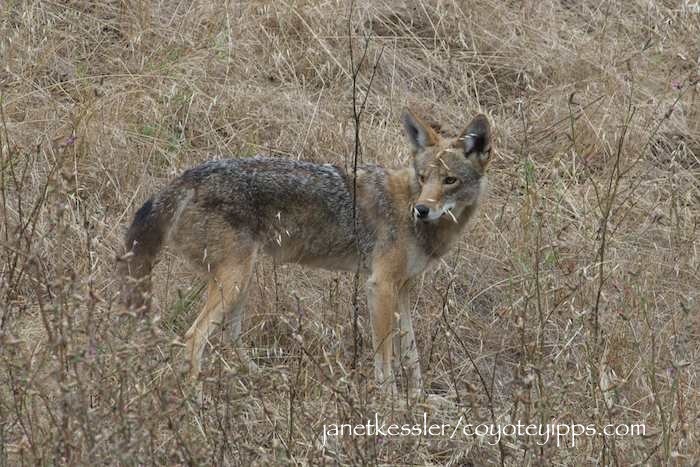 The dog was a young, small German Shepherd, maybe 70 pounds, while the coyote it was chasing was a small 30 pounder. The dog was persistent and fast, but the coyote was faster. They raced around a large field several times while onlookers froze, wishing the dog would stop. At this point, the dog decided to take refuge next to its owner, and as it reached its owner, the coyote stopped and turned to go the other way. The coyote, who simply needed to message the dog to leave him alone, would not get any closer to the human owner. Most unleashed dogs, by the way, will chase a coyote the minute they see it. The owner gave the dog a thorough body-check for nips: there had been none — this time. Hopefully the dog was sorry and won’t do it again, but often it takes a good nip before some dogs learn to leave coyotes alone. Please remember that your safest recourse is always preventative. When you see a coyote, shorten your leash and walk on and away from the coyote. Janet I suppose scenes like these are where the saying “Turn tail and run” comes from! Thanks, Darlene! 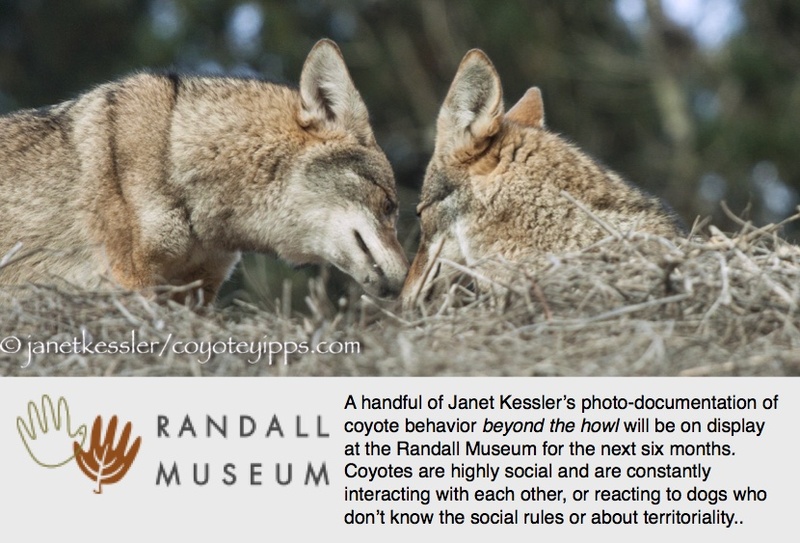 It’s important to know what really goes on during dog/coyote incidents!